After an unavoidable slow start to the current North York Moors, Coast and Hills LEADER Programme, we are finally underway and picking up speed! We have around £400,000 of funding already allocated to a range of projects and businesses across our LEADER area. We want more projects to come forward so we can make the most of the money allocated for this area. We are ideally looking for projects wanting a contribution towards capital works, which can spend by March 2019, and which will result in the creation of new employment opportunities, will help an existing business to grow, will support the visitor economy, or which will help a new business to get started. With recently supported projects ranging from a whiskey distillery to a mobile sheep handling unit, and a new coffee shop to a robotic milking machine, there are lots of ways in which we may be able to help you, your business or your community. Anyone considering making an application for their business is likely to be eligible for up 40% towards costs, whilst projects which are for a wider public benefit could receive a higher percentage. To find out more the best place to start is our Programme website or you can get in touch with me to chat options though on 01439 772700 or by email. LEADER might be just what you’re looking for. An intake is a parcel of land on the fringes of the moorland which has been “taken in” from the moorland and brought under cultivation i.e. farmed, usually by stock grazing. An intake is often separated and demarked from the moorland with drystone walling using the materials to hand. 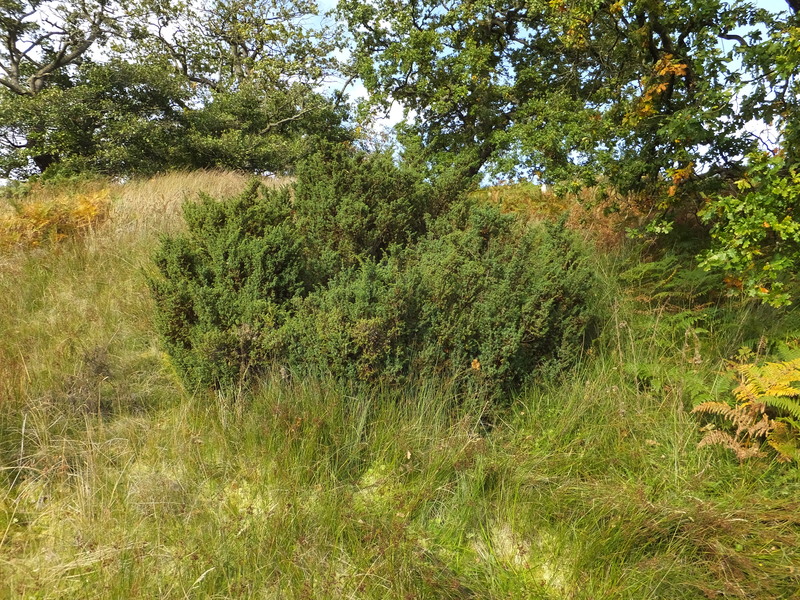 As a habitat these intakes are often a mix of acid grassland, wet rushy areas and remnant areas of heathland species such as bilberry. There are farms on the North York Moors that have the word intake in their name such as Riddings Intake in Westerdale where the farm holding is nearly all intake. 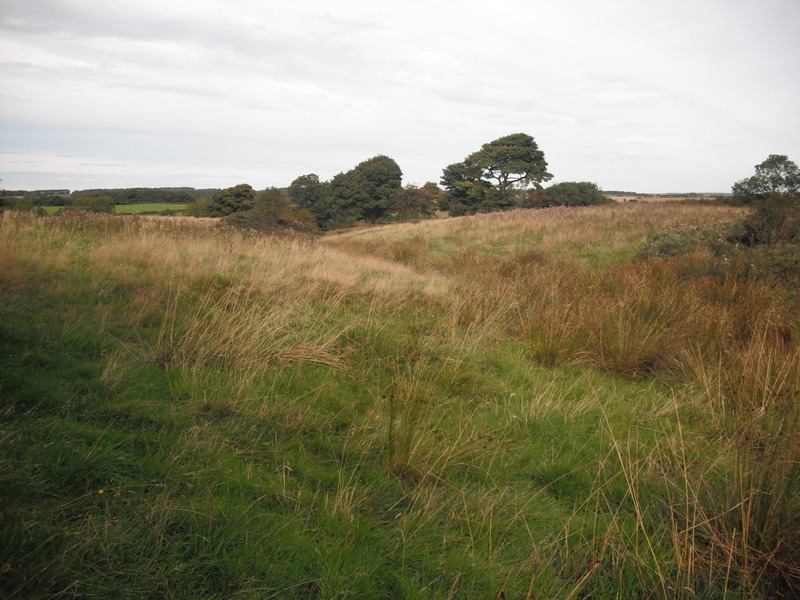 Inbye land is further down from the moorland, usually closer to the farmstead. 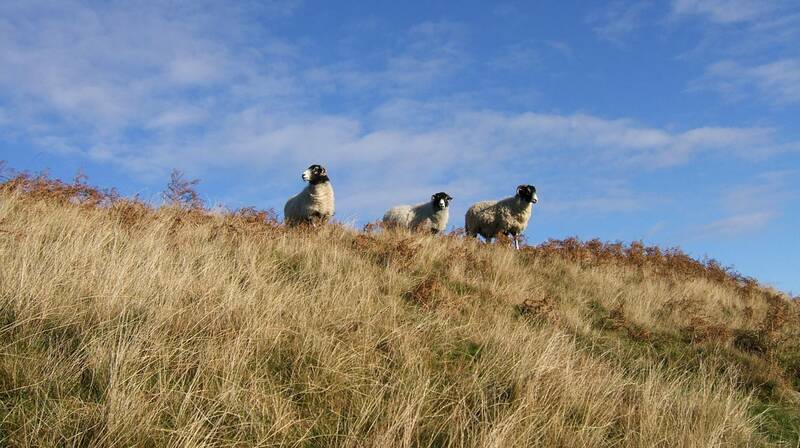 Inbye is often the most productive land on an upland farm holding and is used for grass production (hay/haylage/silage) and sometimes arable. 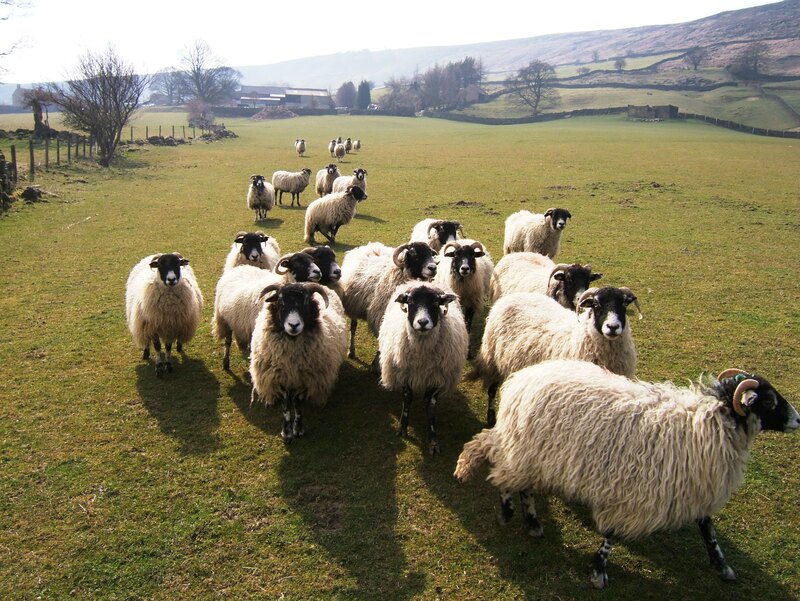 Inbye can also provide winter grazing as conditions on the higher more remote areas of the farm, the intakes or the moorland beyond, become too harsh for livestock. Ironstone is a rock that contains minerals with an iron element. In the 19th century if the iron elements could be extracted the rock had a value. The ironstone in the Jurassic mud stones of the North York Moors and Cleveland Hills was close enough to the surface to make it relatively easy to mine, coal and limestone resources for processing were available nearby, the same entrepreneurs processing the iron were involved with the development of the railway network, and together this made exploitation worthwhile for a short lived period. The first ironstone mine in the area was Hays Mine near Grosmont which opened in 1837; by 1863, 78 of the 108 blast furnaces in the north east of England were using iron primarily from the North York Moors/Cleveland Hills. Most of the ironstone was of a low grade with a high phosphorous content – magnetite (a much purer iron ore) was discovered in Rosedale in the 1850s but it proved to be the exception and the seams were quickly worked out leaving lesser grade ironstone to maintain the industry here. The development of the Cleveland Practice in iron making in the 1860s meant that the problem of the phosphorous content became surmountable for a while and boosted the value of local ironstone. Because of the low grade it was economically advantageous to calcine the ironstone in blast furnaces close to mine sites rather than pay for conveying the unwanted dross as well, and so the resulting pig iron was then transported by railway to the developing town of Middlesbrough and its emergent steel industry. The financial viability of the industry and the companies involved was somewhat helter-skelter. After the initial rush and a period of consolidation for the local industry, better quality iron ore imports and decline after World War 1 saw the last working ironstone mine in the North York Moors close in 1927. The impacts of the ironstone industry on the North York Moors’ landscape and communities are a major focus of our This Exploited Land Scheme. Jet is fossilised waterlogged wood which has been buried between sedimentary rock layers and compressed over millions of years. Buried in isolation and enriched by organic oils jet is formed instead of fractious coal. 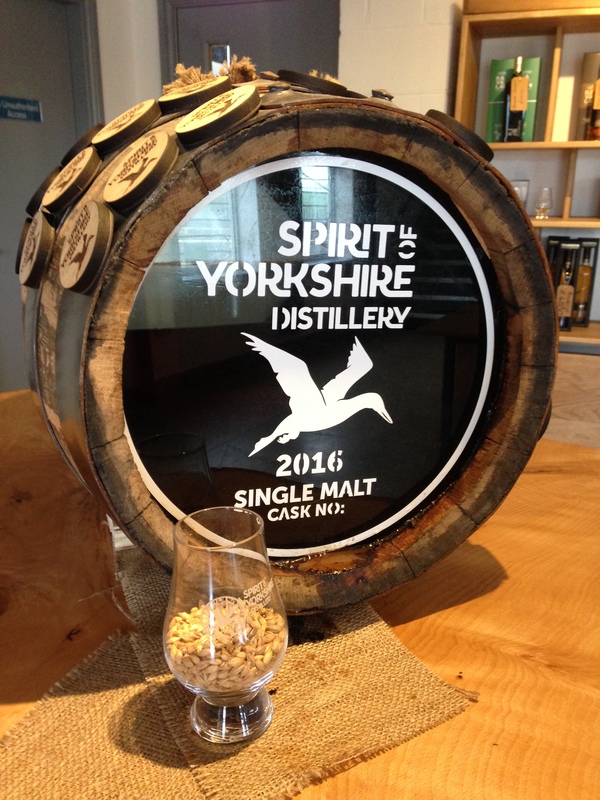 The wood was mainly from a type of monkey puzzle tree Araucariaceae which grew when the North York Moors were warmer than they are now; plant cellular structures can be seen in real jet. Jet is only really used for one purpose – ornamentation. The best jet is always pure opaque black. Whitby Jet is a high quality hard jet formed in saline water and so easy to work. The town of Whitby was at the forefront of an upsurge in the popularity of jet jewellery – following the fashion for mourning set by Queen Victoria after the death of her husband Prince Albert in 1852. Jet had previously been collected out of the cliffs or from the sea shore but the heightened demand meant mines were opened across the north of the North York Moors to the west of Whitby; this line is thought to have been the edge of a salt water swamp some 180 million years ago. 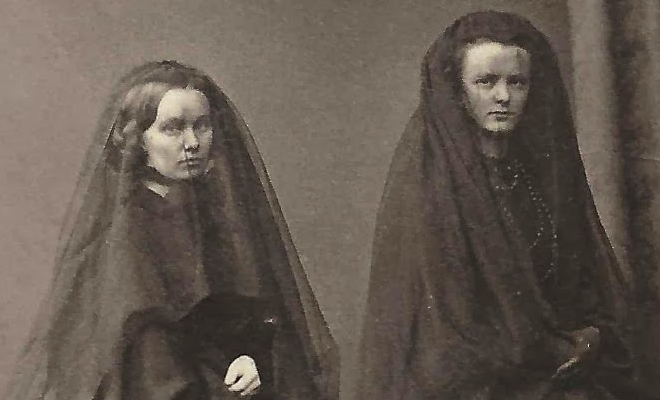 The enthusiasm for mourning became a social occupation – a widow was expected to wear mourning i.e. black for two years after the death of her husband, although many remained in black for the rest of their lives. Jet was the perfect accessory for the shrouds of mourning. Whitby Museum has a fine collection of local jet jewellery. John Bunting (1927 – 2002) was born in London and educated at Ampleforth College on the edge of the North York Moors. The area made a considerable impression on him and he returned to the College to teach art in 1955. 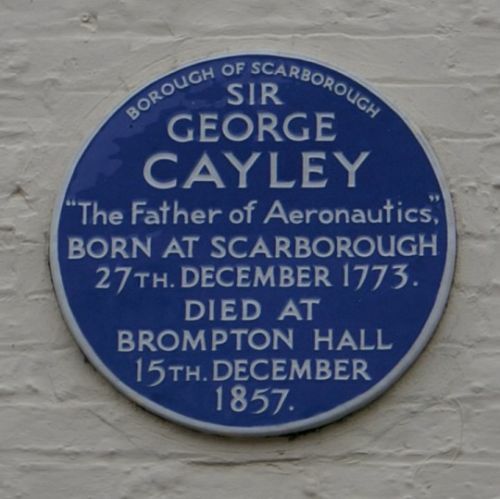 He also taught at the York School of Art, and later became sculptor in residence at Ampleforth. Without doubt, his religious faith was central to his work. In the 1950s John Bunting bought a small piece of land on the edge of the ridge above Byland Abbey and on it he created the War Memorial Chapel . He renovated a derelict farm building on the site himself with the help of a Mr Winspear of Oswaldkirk. The whole chapel is a work of art. The outside and inside commemorate the dead, in particular four named alumni of Ampleforth College, and the peace the dead sacrificed themselves for. The recumbent stone soldier inside the Chapel wearing WWII commando boots connects the modern age with the past, echoing a tomb of a mediaeval Catholic knight. The Chapel is also known as the Scotch Corner Chapel; it was round about here that in an earlier conflict the Scots defeated the English in battle. The Chapel is occasionally open to the public. There are two genera in the rush family common to the UK, luzula and juncus. Rushes can easily be confused with sedges, and even some grasses. As a rule of thumb, grass stems are usually cylindrical and hollow, sedges are triangular and solid whilst rushes are round and filled with pith – hence the common adage ‘sedges have edges and rushes are round’. Soft rush Juncus effusus is one of the most widespread rushes in the North York Moors, and on the moorland Heath rush Juncus squarrosus is also commonly found. Other locally important rushes include Jointed rush Juncus articulatus, Blunt-flowered rush Juncus subnodulosus and Sharp-flowered rush Juncus acutiflorus. Rushes are significant for a variety of animal species. Snipe often build their nests at the base of a clump of rushes near water, whilst meadow pipits feed on the seeds in winter. Lapwing, curlew and redshank also benefit from the damp pasture on farmland where rushes can be found. 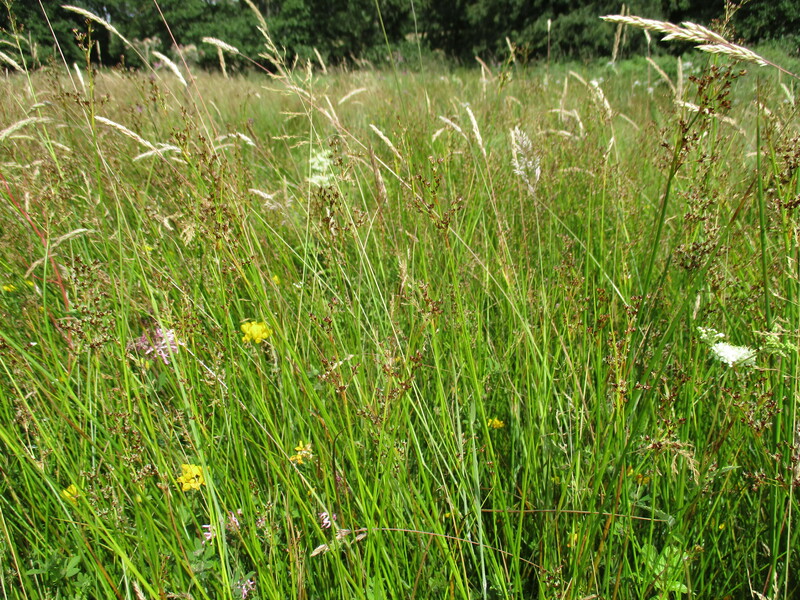 Rushes are an important food source for butterflies; the Large Heath butterfly feeds on Jointed rush. Semi natural rush pasture is usually dominated by rushes. 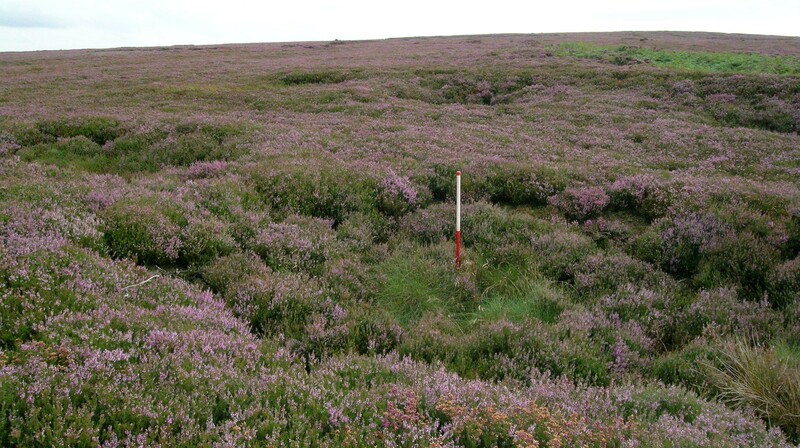 The UK priority habitat – purple moor grass and rush pasture – is found in the North York Moors, on or around moorland and in patches on damper ground around flushes or hollows on inbye land. Rush pasture can be managed with light to moderate grazing. The ideal level keeps the Juncus and Molinia caerulea (purple moor-grass) from becoming dominant and allows other species to flourish in these more vigorous swards. Occasional poaching caused by grazing stock can have the beneficial effect of creating varied soil surfaces and bare ground, which can be colonised by the smaller plants. However, as always, too heavy a grazing level will have a negative impact on the botanical interest. 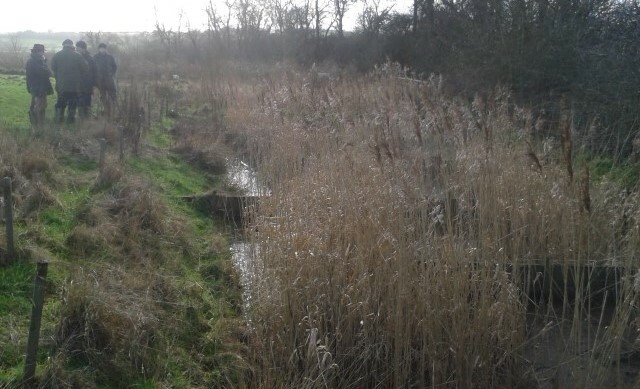 Draining rush pasture removes the vital element of water and will modify the habitat leading to the loss of specialist wetland plants. Common Juniper is a coniferous shrub or tree which is both evergreen and perennial. It is also a dioecious plant – plants are either male or female, not both as with many other plant species. It often lives to 100 years and can grow up to 4 metres in height, though it has been recorded at heights of up to 10 metres. It grows in a diversity of forms including as an upright bush, as a low-growing mat or a towering spire. 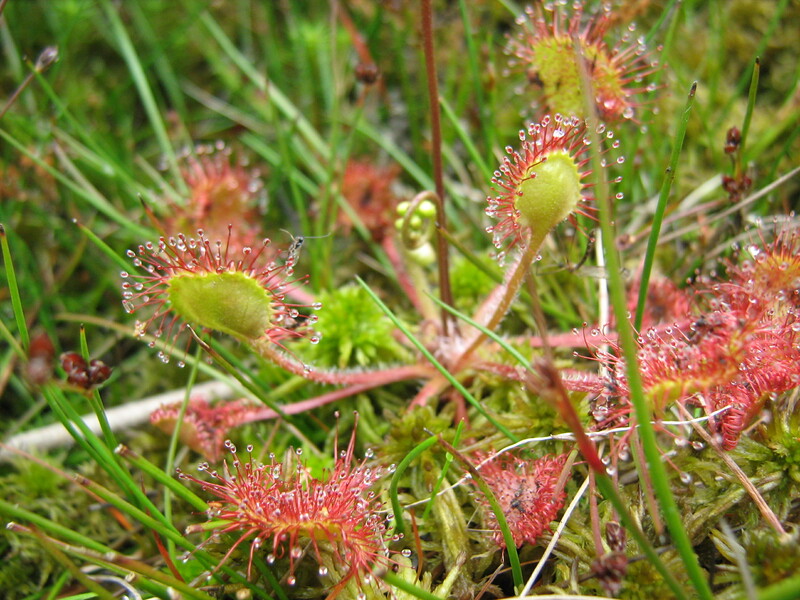 It is typically found on moorland/heathland/downland and in pine and birch woodland habitats. 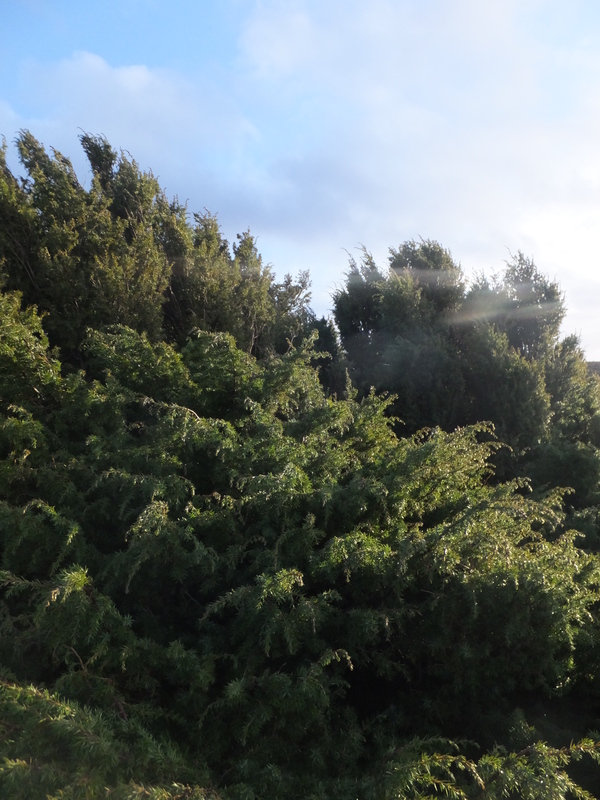 It is one of only three “native” conifers in the UK (alongside Yew and Scot’s Pine). Thirty-five insects and three mites are specifically associated with Common Juniper, such as the Juniper carpet moth (Thera juniperata) and the Juniper pug moth (Eupithecia pusillata). Juniper can also provide an important food source for berry-eating birds such as thrushes, fieldfares and waxwing who help spread the seed that passes through them. 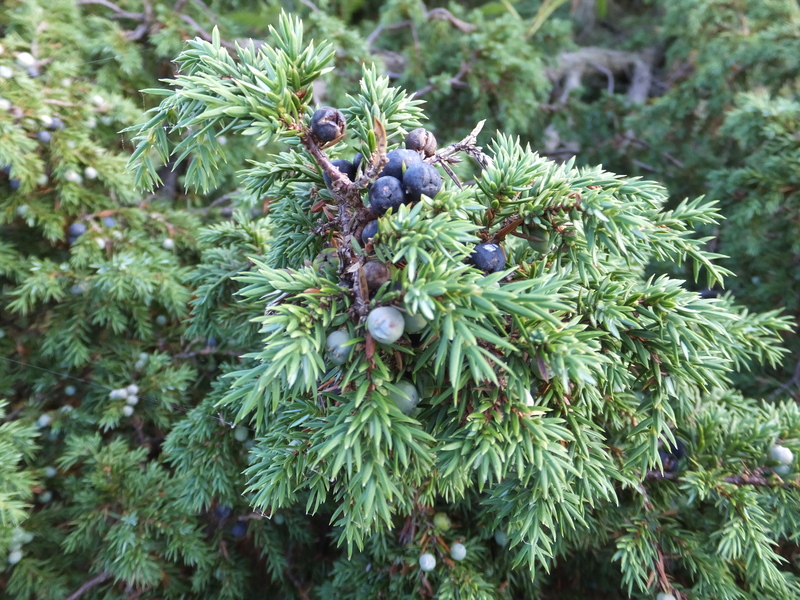 Juniper berries have long been exploited by man too, for their flavour, fragrance and presumed medicinal properties. pollinate a receptive female. 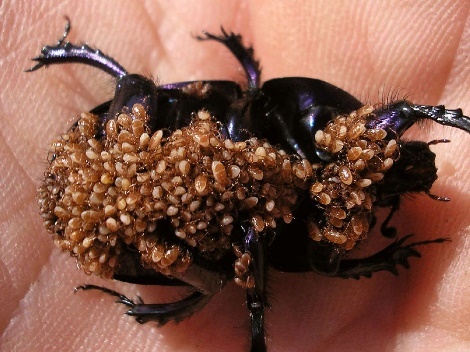 Otherwise a population has no chance of successfully reproducing and will eventually die out. Juniper seeds become less viable with age, and natural regeneration of Juniper is also vulnerable to moorland management and grazing. Between 1990 and 2012 over 1750 new Juniper plants propagated from local seeds and cuttings, were planted in the North York Moors through a volunteer initiative. 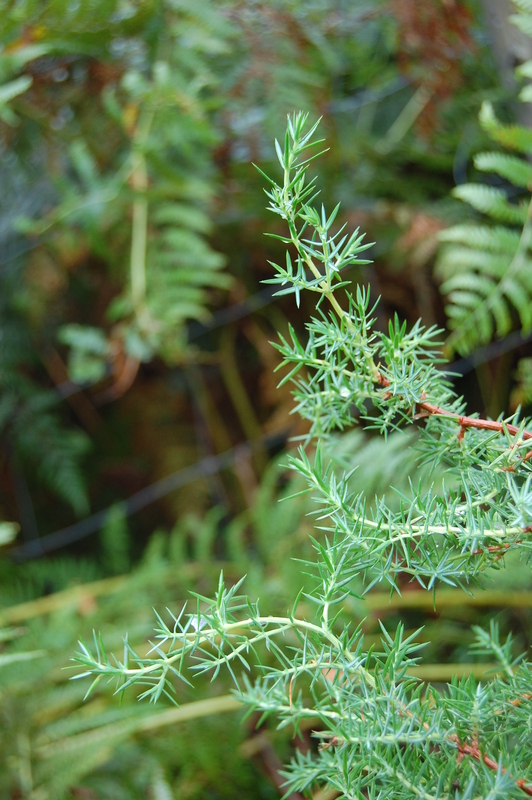 The local Forestry Commission have also been planting Juniper on their holdings, for instance at Bumble Wood. The threat of the pathogen Phytophthora austrocedrae means any further propagation work will need to be self sufficient within the North York Moors. A kiln is a structure capable of holding material at temperatures high enough to effect chemical change. 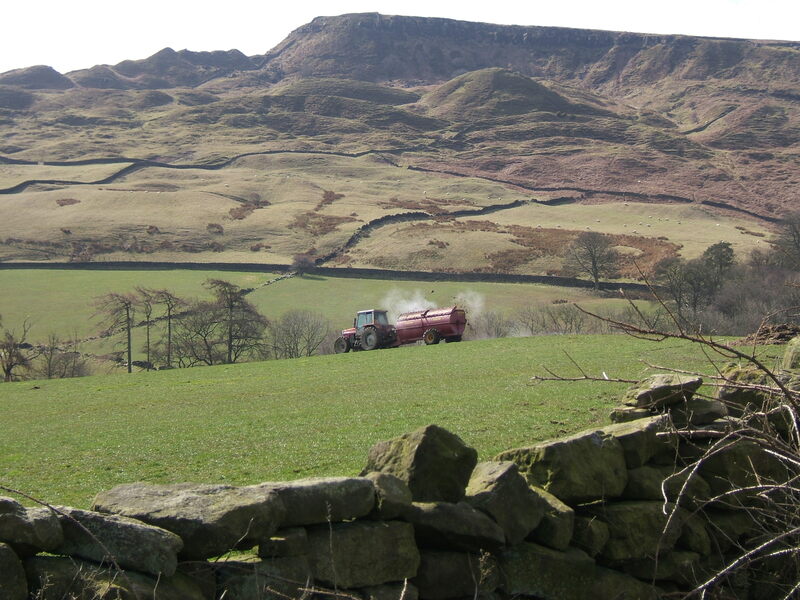 Quicklime (or burnt lime) is used to improve soil structure and increase the fertility of acidic soils which are common in the North York Moors. It is also used to bind and render stonework. To abstract one tonne of quicklime from limestone you’d need a lime kiln, two tonnes of limestone, and half a tonne of coal (or similar) as a fuel source. Stack the limestone and fuel in alternate layers inside the kiln and heat to 1100°C. Leave for 4 to 5 days to cool. Be careful, because the end product is unstable. 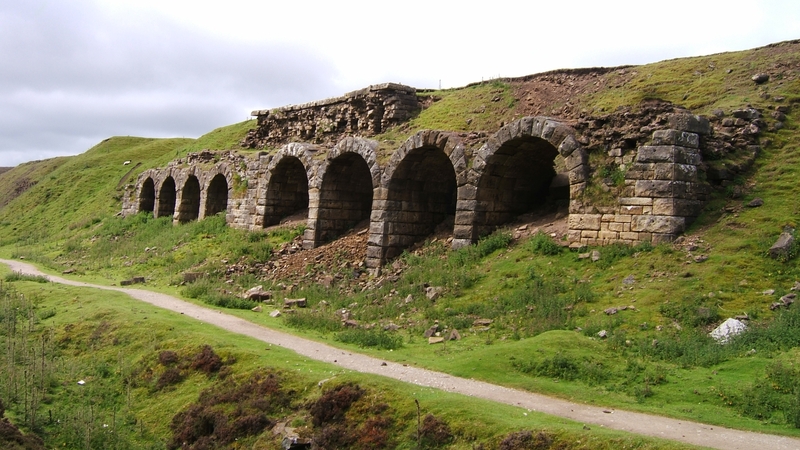 There are records of lime kilns across the southern North York Moors dating back to the medieval period. Kilns were more common in the south because this is where the limestone is. 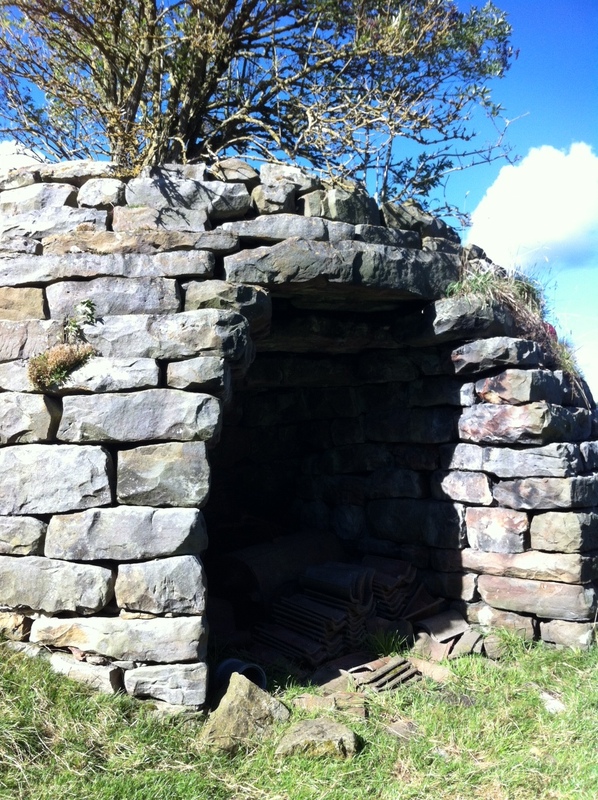 Kiln structures ranged from single basic clamp lime kilns on farmland to lines of industrial heat-efficient kilns next to limestone quarry sites. Remains of a number of lime kiln structures can still be seen in the North York Moors landscape. 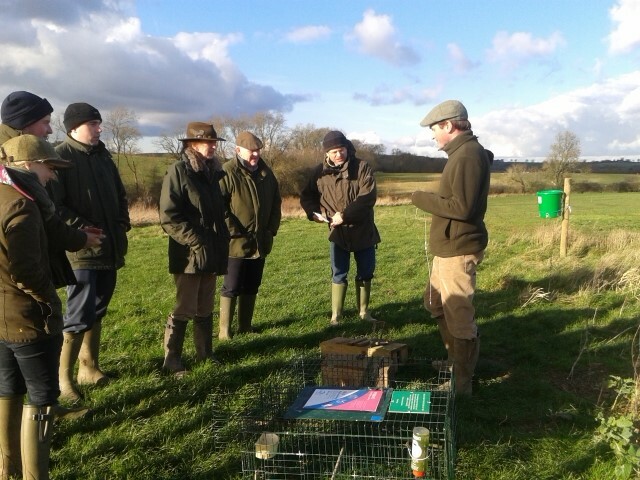 I’ve recently returned from the lowlands of Leicestershire and three days training with the Game and Wildlife Conservation Trust (GWCT). The BASIS Conservation Management course was highly informative, well led and thoroughly enjoyed by all who took part. 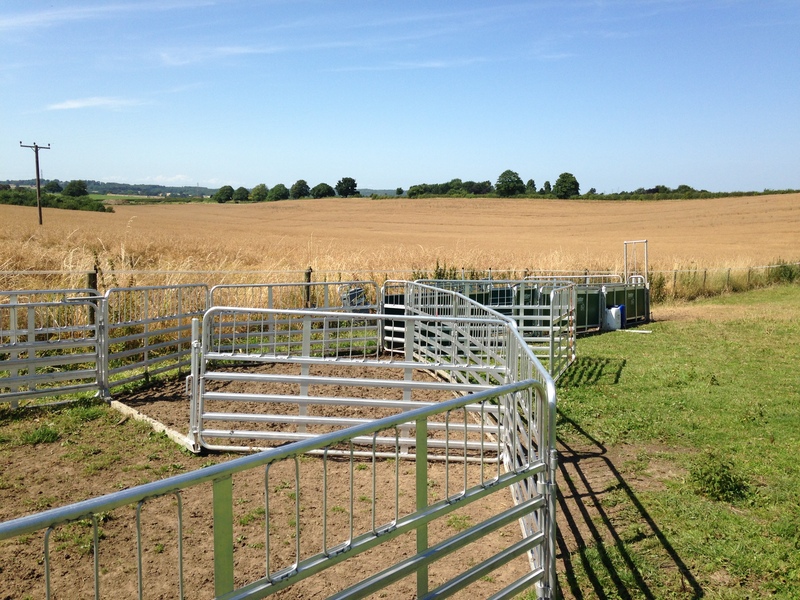 The Trust’s own Allerton Farm Project at Loddington was the venue for the course – a 272 hectare mixed farm enterprise that is innovative in its approach to conservation management. One of the first things I noticed when I drove into the village was the amount of farmland birdlife, so I knew somebody was doing something right in terms of conservation land management. The course covered all of the different elements required when managing farmland for conservation and wildlife, alongside profit. 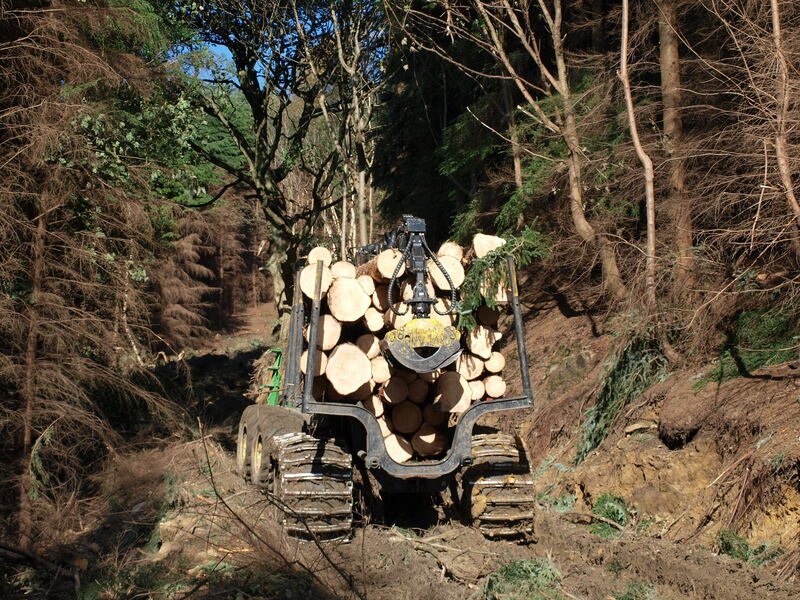 We covered a multitude of subjects including Nitrate Vulnerable Zones, Minimum Tillage systems, Biobeds for pesticide removal, increasing farm energy efficiency, recent pesticide developments, Biodiversity 2020 strategy, Farm Assurance Schemes, Cross Compliance regulations, gamekeeping for wildlife management, maintaining soil sustainability, improving water quality, tackling non-native invasive species, and managing farm woodlands. Starting off in the classroom the lessons were then observed in practice across the farm. 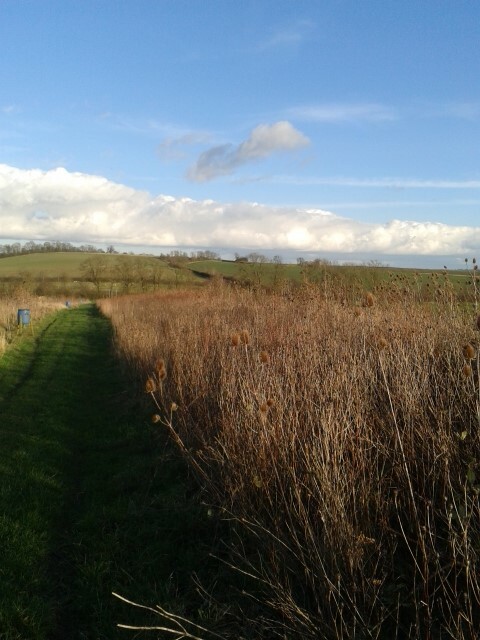 The Allerton Farm Project targets management for specific (Red and Amber Status) species such as Grey Partridge, Turtle Dove, Bullfinch, Tree Sparrow and Skylark. Cultivating a mixture of high hedges, managed grass buffer strips, plots for nesting in amongst the cereal crop as well as putting up nest boxes, has added to the aggregate of necessary habitats and increased habitat diversity on the farm. The farm has benefited from a number of agri-environment grants over the years but is by no means reliant on these. If there is something that an agri-environment scheme promotes but doesn’t fit in with farm practices it isn’t taken up. However this is relatively rare, and the general thinking is that farms should take advantage of these schemes where possible and can do so with a little assistance. Energy efficiency and recycling are common threads within sustainable farm management and our classroom for the three days was a good example of an energy efficient building: surrounded and insulated by straw bales, heated by a biomass boiler and lit via solar panels on the roof. The afternoon of Day Three meant sitting a two and a half hour exam – as a middle aged man that’s something that some of us on the course hadn’t done for many a year. I’ll find out how well I’ve done when the results come through in a few weeks! The Allerton Farm Project is a great example of how mixed farming and wildlife conservation can work in practice, and benefit species recovery and landscape enhancement. All in all, I learnt a lot and one of the positive messages I’m taking away is that on every farm there is always something that can be done to benefit wildlife without having to lose out on money in the process. I’ll carry these thoughts with me as I start back on my day job in the North York Moors, refreshed and revitalised from my three days at Loddington. The Allerton Farm Project has its own Research Blog. 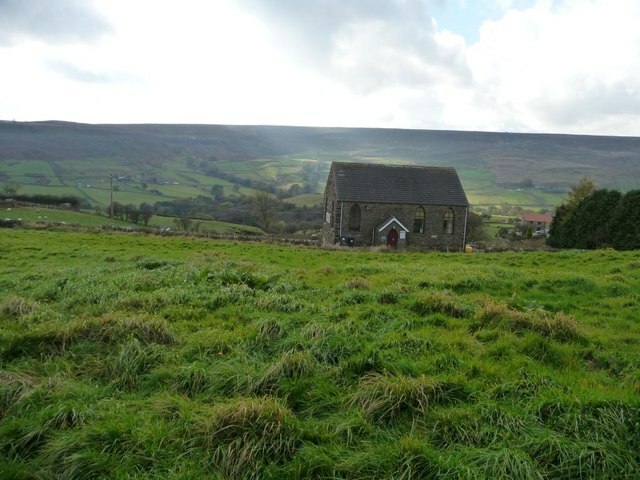 There are a number of Ebenezer Chapels in the North York Moors. These were generally built during the 19th century in the evangelical revivals in response to changes across society bringing uncertainty and upsetting traditional beliefs and controls. 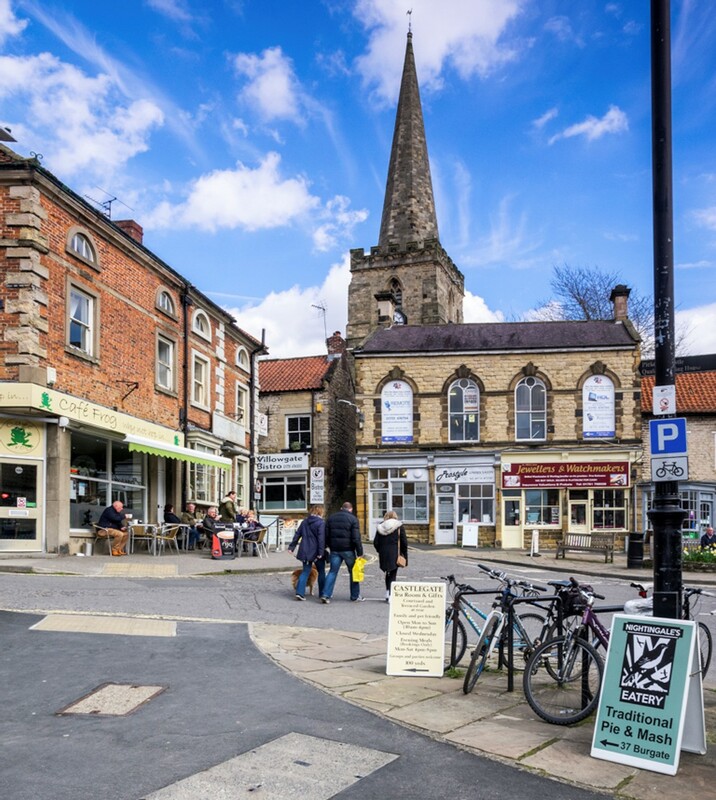 Being geographically ‘separate’ to some extent the North York Moors has tended to be on the edge of conventional authority and control; it has a long history of non-establishment religious belief. With influxes of people to work in the booming industry in the North York Moors non-conformist denominations flourished – such as the Primitive Methodists and Strict Baptists. 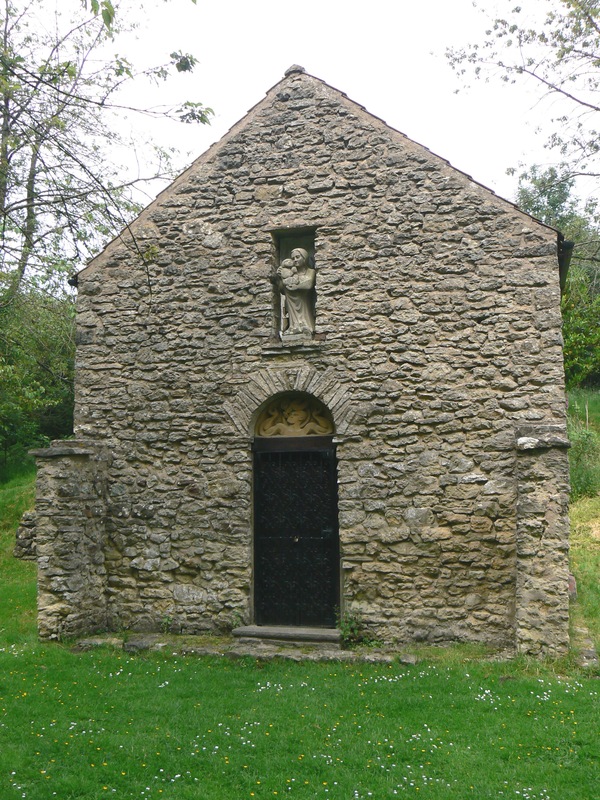 Chapels were sometimes given the name ‘Ebenezer’ because it means ‘rock of help’ (a good name for a stone built building) and reminds the congregation of God’s protection for his repentant people. The European eel has an amazing lifecycle – use this link to access a great illustrative video put together by the Zoological Society of London. The European eel is a critically endangered species fish species which was once common in the rivers of the North York Moors. Its numbers have declined by over 90% since the 1970s due to a number of cumulative factors such as barriers to migration (such as weirs), pollution, overfishing, a parasitic nematode (worm), and also changes in climate. 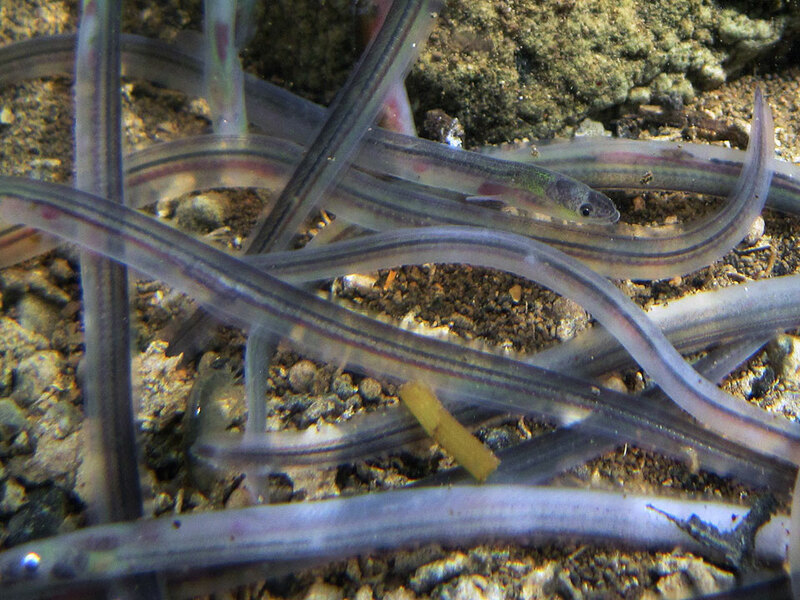 The presence of eels is often used as an indicator of water quality in a river. Frank Elgee was born in North Ormesby near Middlesbrough in 1880 – his father worked as a book keeper for one of the town’s Iron Masters. He suffered a litany of childhood diseases which limited his formal education and culminated in him being sent home from hospital to die at the age of 17 – but this didn’t happen. With a body somewhat confined and debilitated by his bad health his mind flourished and grasped at everything: history, literature, philosophy, languages, astrology and in particular local natural history and archaeology. As his health improved somewhat he applied himself to practical investigation in order to draw his own rational conclusions, heading off into the hills and moorland of the North York Moors. He became the Assistant Curator at the newly opened Dorman Memorial Museum in 1904 and he began to write. 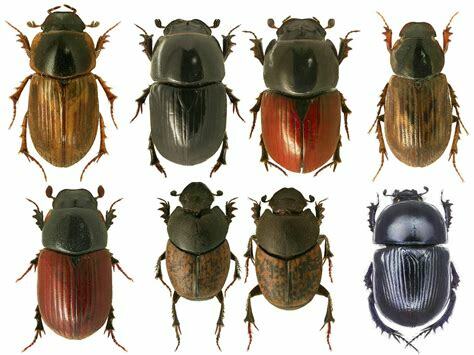 Natural History and Origin’ which after much self-doubt and revision was finally published in 1912. He and his family relocated in 1920 to Commondale within the North York Moors – surrounded by the moorland that so stimulated him. He became Curator at the Dorman Museum in 1923. He continued to research and write leading, probably inevitably, to his health breaking down on a number of occasions, although as his wife recorded he continued to write from his sick bed. He was recognised by the awarding of a Doctorate in Philosophy from Leeds University in 1933. 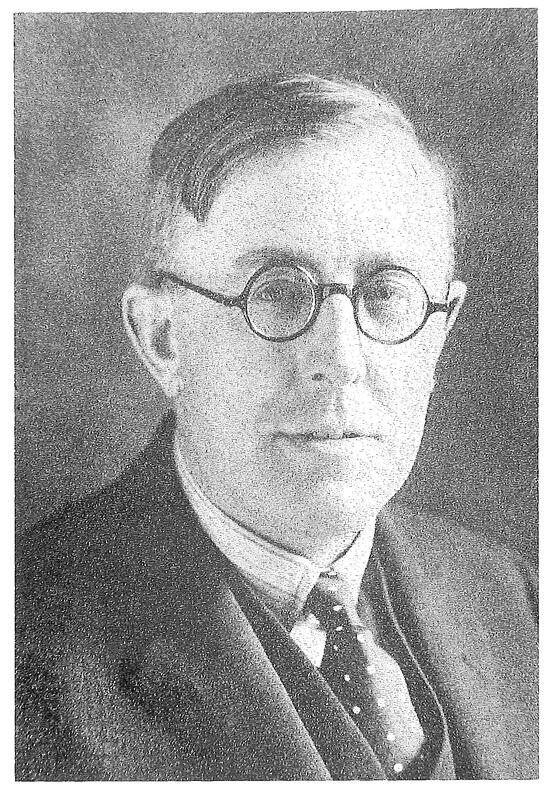 Harriet his wife, who always provided stirling support, gave Frank Elgee a heartfelt epitaph after his death in 1944 – ‘his labours had been Herculean; his physical strength was nothing but frailty; his monetary resources were meagre…he stands for the triumph of mind over body, of spirit over matter…a scholar-saint of the Yorkshire Moorlands, as having entered fully into his rights of pre-eminent domain as their genius loci, unto whom all is revealed’. Below is an extract from A Man of the Moors: extracts from the Diaries and Letters of Frank Elgee edited by Harriet W Elgee, 1957. It is interesting to consider whether what Frank Elgee saw and experienced over 100 years ago, can still be seen and experienced today. A misty, frosty morning becoming brilliantly sunny at mid-day. Went up Baysdale Beck beyond the Westerdale-Kildale road. Along the slopes the cowberry is extremely abundant, even growing among bilberry which only here and there preserves its leaves, the square wiry stalks standing up like thistles. Trees grow along the beck slopes and include oak, birch, holly, hawthorn, and one small juniper bush, the first I have seen for several years. Under heather growing on blocks of sandstone two or three small Lepidoptera [butterflies] were found, whilst under a stone Zonites alliarius [snails] were noted. Along the streams are one or two old slag heaps evidently made in olden days when the ironstone of the Ellerbeck Bed was worked. In the afternoon I walked as far as Howl Syke and back. From the railway bridge there is a fine view of the Lealholm moraine and Cunkley Gill, and it is clear how the Esk has been deviated by an ice barrier at this place, the level at which it began to cut down being considerably higher than the lowest point of the moraine. 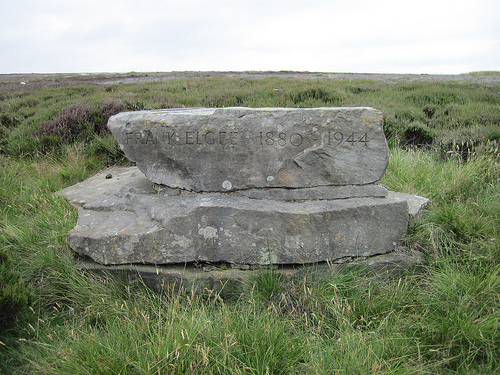 There is a memorial stone to Frank Elgee on Blakey Ridge, erected by the Natural History and Archaeological Society of Yorkshire in 1953. Since medieval times, here and there land often farmed under an ‘Open Field system’ had been enclosed and holdings established out of owned and tenanted fields. During the 17th century the practice of using an Act of Parliament to enclose land took off. Enclosure was a way for landowners to make the most of their assets and at the same time expedite investment to increase productivity – hence the 18th century ‘agricultural revolution’ in England. Enclosure enhanced agricultural productivity and meant more and more land was able to be managed/cultivated for agricultural use. It therefore had a big effect on the landscape, as the area of cultivated ‘improved’ land grew, and stock numbers increased considerably. Many (but not all) of the ‘traditional’ boundaries such as hedgerows and walls that divide up the countryside and are so valued today, came about due to Enclosure – as well as demarcating ownership divisions the boundaries were needed to manage stock. 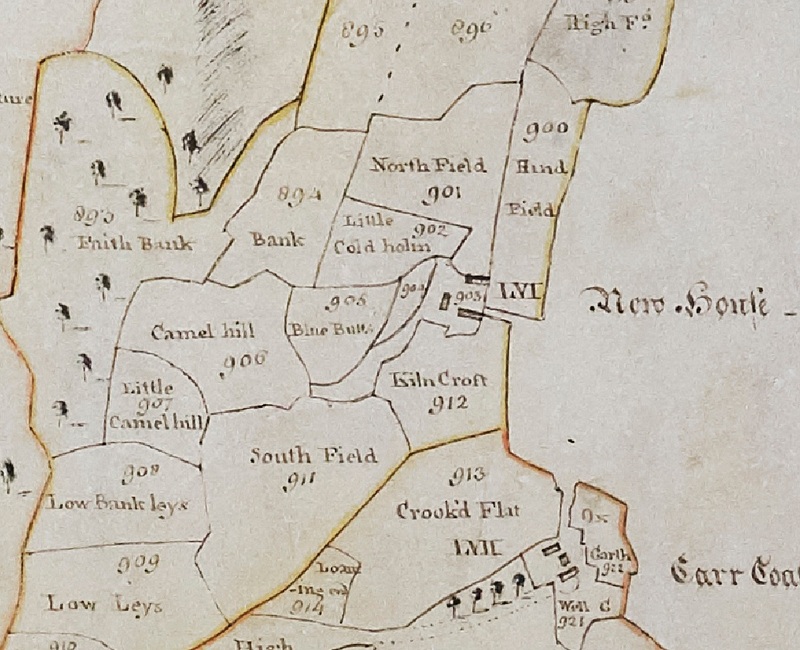 The enclosed field systems with square or rectangular parcels of land are still visible if fields have not been subsequently amalgamated, particularly around villages where individual villagers received a division of the previously ‘common’ land. In contrast the remains of ridge and furrow can also still sometimes be seen – for instance on aerial photographs – revealing the ploughing regime of a previous ‘Open Field system’. The effects of Enclosure on local communities is still widely debated, and are bound up with the effects of the industrial revolution taking place around the same time. Productivity increases alongside the introduction of machinery meant less labour was required on the land, and parts of the population left without any or too little enclosed land needed to seek a living elsewhere not withstanding the lure of a more regular industrial wage. Increased productivity of farmed land was then even more important – in order to feed a growing urban population, without the wherewithal to feed themselves. There were so many individual bills coming before Parliament regarding Enclosure that the first General Enclosure Act was passed in 1801 which did away with the need for private bills. The final General Enclosure Act of 1845 included a number of exceptions like village greens, but otherwise was the legal consummation of the ‘inclosure and improvement of commons and lands held in common’ in England. In the North York Moors, as in other areas, there remain a number of un-enclosed ‘Commons’. 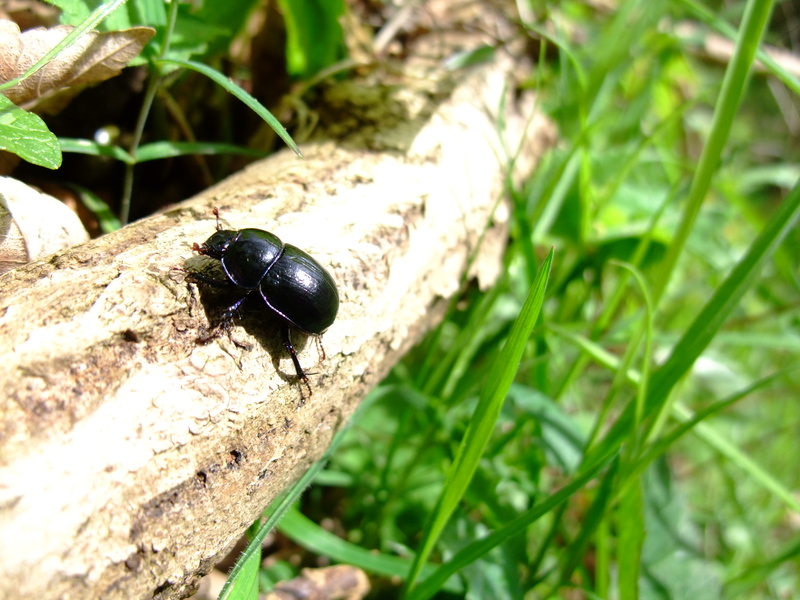 These are European Protected Species*, found in and around the North York Moors, which are protected by European law across the European Union. In addition national law protects other species that are thought to be particularly important. All bat species (currently 10 species in the North York Moors – soprano pipistrelle, noctule, brown long-eared, common pipistrelle, Nathusius’ pipistrelle, whiskered, Brandt’s, Daubenton’s, Natterer’s bats and Alcathoe). *Doesn’t include any lichens, fungi or birds which are protected through seperate legislation. Extensive farming – as opposed to intensive farming – is a term used to describe the farming of areas of land that are managed using less inputs relative to the area of land being farmed. 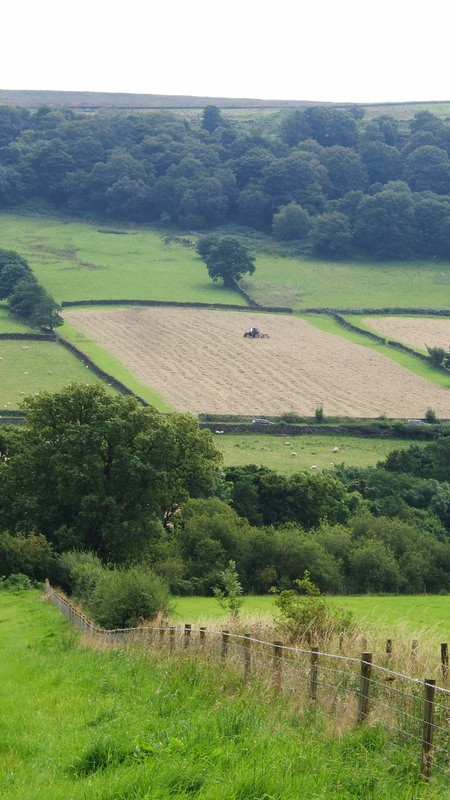 Upland areas of the UK, like most of the North York Moors, are normally farmed extensively, due to the physical limitations of the climate and soil resulting in lower productivity. The majority of these upland farms consist of extensive livestock grazing of natural and semi-natural vegetation. Accepting that yields cannot be as high as in lowland areas and so minimising inputs can profit the surrounding environment. Inputs change the environment – and this can in the extreme include the acidification of land and the eutrophication of water systems. Extensive grazing benefits many plants, insects and birds and so provides a higher biodiversity than in both intensively grazed fields and in ungrazed fields. Extensive farms generally run less livestock per hectare than intensive farms. 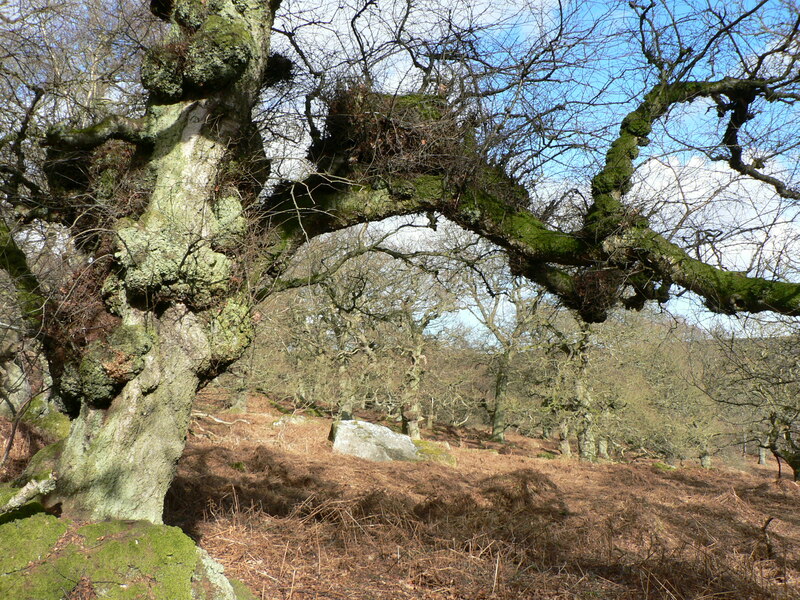 This is due to the lower growth rate of plants in upland areas with minimal inputs and so fewer stock can be supported. Fewer stock avoids the chance of overgrazing, and in catchment areas minimises the siltation ending up in rivers. Feeding livestock hay from unimproved (i.e. no inputs) hay meadow habitats instead of silage from improved grasslands gives a purpose to maintaining upland hay meadows, and some people suggest the end product – i.e. meat – therefore tastes better. One of the downside of a more ‘natural’ system is that the livestock takes longer to reach maturity; this can be offset somewhat by selling the meat at a premium for this improved taste. The premium can also be justified to consumers with the idea of helping to conserve the upland hay meadows as a by-product of raising the livestock that way. Elements of extensive farming can also assist more intensive farming. When planting insect pollinated arable crops (usually an intensive process), it has been shown that managing the lower yield edges and corners of arable fields as habitat buffers can increase overall crop yield on a farm. This can be explained by the increased presence of pollinators attracted by the cornfield and wild flower plants growing in these edge habitats without damaging inputs. This is a common plant on short (e.g. grazed) grassland/heathland habitats. 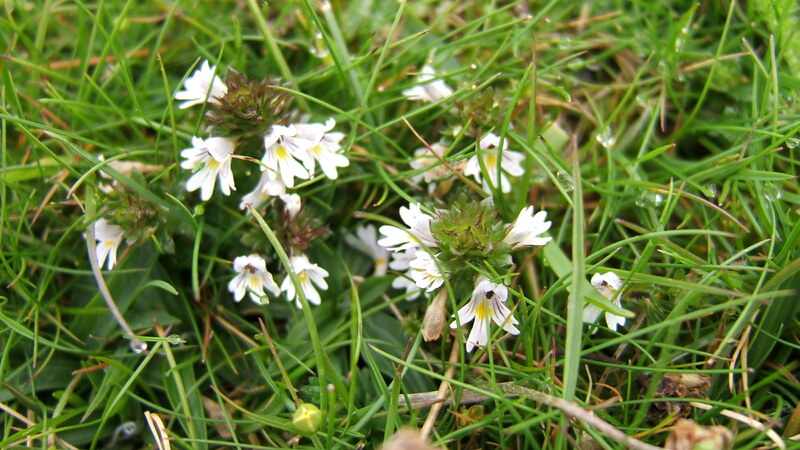 It has small white/mauve flowers with purple/yellow markings and ‘frilly’ petals. 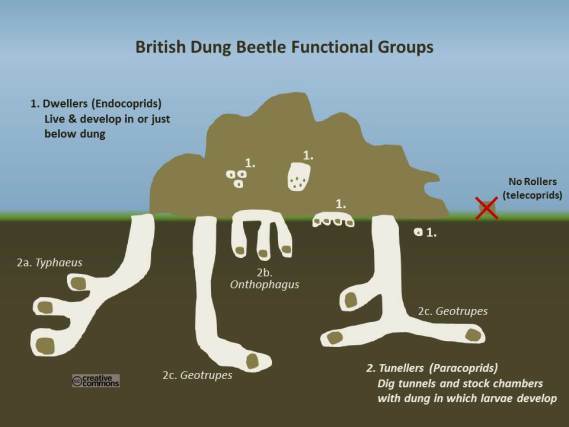 It is semi-parasitic because it collects nutrients off the roots of neighbouring grasses and plants, demonstrating in its own small way the vital interconnections that make up biodiversity. 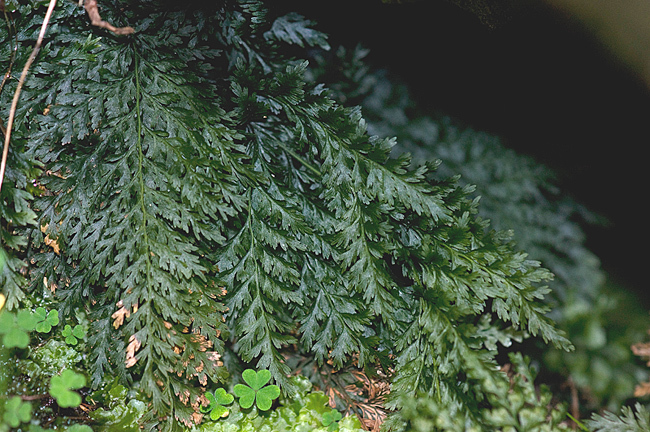 Its common name came from the traditional use of a tonic made from the plant to treat eye ailments. Like most plants it can also have detrimental (poisonous) effects. Eyebright has numerous species and hybrids hence the general binomial Latin name given above – with a generic name Euphrasia first but with sp. instead of a species name second to indicate the particular species is unknown/unidentified.